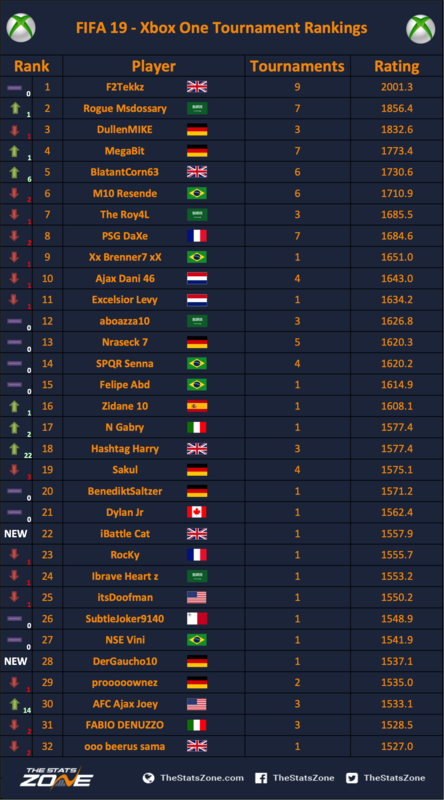 With the EA SPORTS FIFA 19 season underway, the TSZ team have developed a player-ranking algorithm to keep track of how the top players compare to one another over the course of the season when it comes to offline events. Players are given a ‘ranking coefficient’ based on their prior results in FIFA 19 and no previous versions of FIFA are taken into account when calculating a player’s ranking. The rankings are updated on a match-by-match basis and will be published on this page following the completion of each Global Series event. 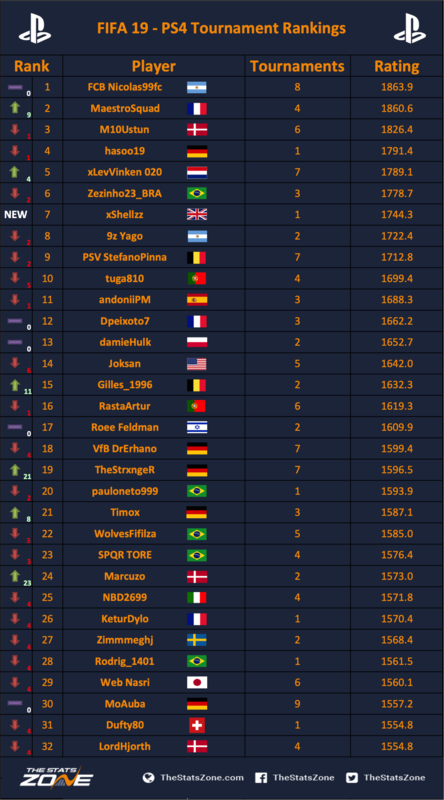 The rankings are constructed and updated using results from tournaments that have a direct impact on qualification for the 2019 FIFA eWorld Cup (barring Official League Partners such as the eDivisie, ePremier League etc). Only offline events are included when determining player rankings. A more detailed description of these tournaments and how the qualification process works can be found here.